Heart Shaped Blankee for Dogs - Its Reversible! This heart shaped blanket is reversible with two super cute prints, red on one side and animal..
Give them something soft and cozy to rest in. 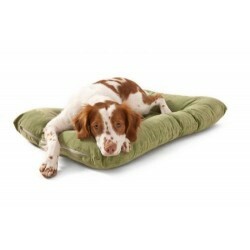 Makes a great crate bed Soft Minky Fur Top with ..
Give them the comfort they deserve. Great bed for their crates Soft Gray Minky Fur Top with tu.. Cozy bed for your prince or princess with soft gray minky fur top with tuff oxford print fabric on t..